Luxury lifestyle magazine publisher Runwild Media Group has gone into administration, closing six out of seven of its London-based monthly titles. Runwild Media Group managing director Eren Ellwood told Press Gazette declining sales and advertising revenues were behind the closure. Although he would not confirm exactly how many staff are facing redundancy as a result, Press Gazette understands it could be as many as 80 people, of which some 20 are editorial. 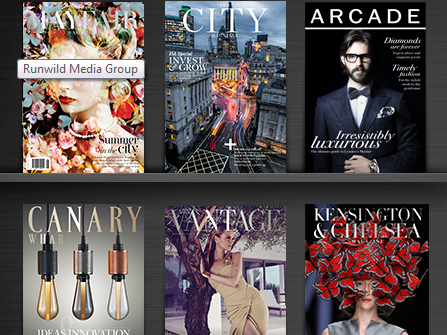 RMG printed six free luxury titles including City magazine, Canary Wharf, Mayfair, Belgravia, Kensington and Chelsea and the Notting Hill and Holland Park magazines. The majority of the titles published their last editions this month, however Canary Wharf is expected to carry on through another publisher. RMG’s website, which previously showcased its titles, has, since 9 May, only displayed a single email address for the company against a white background. 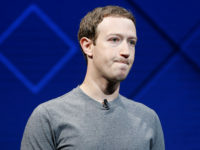 Press Gazette understands staff were told the group would be going into administration only two days before and were asked to collect their belongings and leave the office in Canary Wharf, London. Eren Ellwood, former RMG managing director, said: “After almost 14 years of publishing free luxury magazines in London, Runwild Media, the printed media arm of Runwild Media Group, has been put into administration. He added: “Due to our financial responsibilities and a commitment to stay relevant in these changing times we have had to review our approach regularly. He confirmed there were no plans to continue publishing any of the titles owned by Runwild Media. Ellwood said he could not go into detail on staff redundancies while the company was still in the administration process. An NUJ spokesperson said the union had been assisting members affected by RMG’s closure. Runwild Media, which launched in 2005, described itself as a “family-run company” on its website. Its Canary Wharf and City Magazines boasted circulation figures of 75,000 and 74,000 respectively, with the company printing an average of 4.1m copies of its seven luxury titles a year, according to a 2014 Runwild Media Group readership Survey. In the wake of Runwild Media’s closure it has been relaunched by Ellwood as Luxury London Media. The new media group incorporates the Luxury London website, which was previously run by the company, and will also include the launch of new print magazine Luxury London.